Ginger can be used in tons of ways. Ginger is one of the foods that can give you a health punch because it is so full of healthy benefits for your body (and mind). Fresh ginger is best, so it is a good idea to keep some around (see below for storage tips). I often use ginger in this tea whenever I have a cold. Peel it & freeze it. I used to have to throw my fresh ginger out because it never stayed good long enough. Then, I stumbled upon this tip: Peel all of the ginger right when you get home. Wrap it in plastic and freeze until you are ready to use. Not only does it retain most of its freshness, but it is much easier to slice and grate when it is frozen. Try to find ginger that is firm and has smooth skin. Try to avoid ginger with wrinkled skin, soft spots, or any mold. Ginger is most beneficial when grated or pressed in a garlic press. You can also slice it. 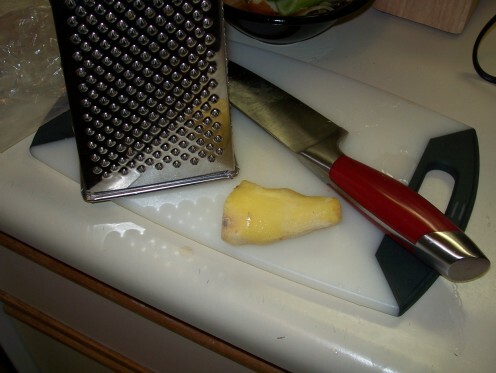 I like to use a citrus zester to grate my ginger. 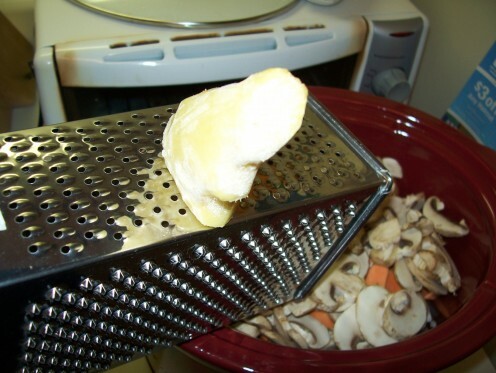 A Zester or a Grater? How Do You Use Ginger? I tried the ginger tea. After you make a pot of tea how long does the ginger last? One hour one day? & how do you know if it's still good? wow I never knew about ginger..so great. im dehydrated that's why my throat is itchy and dry,then i tried eating ginger and it help. I've been having terrible attacks of gas and I read some place on the internet that ginger pieces soaked in lemon are good for this problem. It should be taken after meals. Well, I've been taking this for more than a week and I feel much better. However, I still have some belching, but I'm sure that too will disappear in due course. I used ground ginger in a recipe that called for fresh, but I mistakenly used the same amount that it called for, is there a way to tone down the taste of the ginger in the recipe now? It was a stir fry recipe. Really the benefit of ginger is extremely good.It is suitable for all people. Great revelation about the benefits of ginger. Thanks so much for sharing it with us. I want to loose some weight and was thinking of which medicine to use. Never thought of ginger and weight lose. I am more than happy and I promise to share this great revelation. I make a Ginger Lemonade. I grate the ginger and boil it to release the flavors, then add the water to fresh squeezed lemon juice and agave for sweetener. I sip on it all day. LOVE IT! Adding ginger paste to non veg items while cooking can get good taste.Ginger teat also very healthy. i have back and nerve problems, on some heavy pain meds which only take the edge off the pain, anyway every morning i chop up large lump of ginger slice up very small, boil and then simmer for about 20 mins put through tea strainer add one teaspoon of cayanne pepper stir well, down in one (dont sip its to potent to be sipped) I can feel the mix going through my body my pain subsides for a few hours. Of course I OD a bit, but could b worse! Wht attracted in ginger initially was its flavour, whn i grew up i discovered dat of all d herbs ginger is simply alluring. I luv ginger. my friend told me that ginger can make your voice better , one day i tried to eat a whole ginger! with out sputumi almost eat 7 whole ginger lol hahahahaha then i sing then my voice got highers its nice!!!! Before I don't like Ginger tea for its strong taste but an officemate told me to add some squeeze of Lemon and a tablespoon of Honey...the combination is good!..now i like having it. Wash the ginger well, pell off the skin ,cut it into small pieces. In a good bottle. along with these ginger pieces add a good quantity of lemom juice . Add salt to taste. If you can get green pepper, add some into the bottle. Otherwise forget about it. It is a sort of pickle. Start using it after two days.Very good for health. Those who have knee pain,joint pain, muscle pain, arthritis, etc can regularly consume the pickle. the pains will subside. Make it a daily habit to consume Ginger. Attention old people.you can throw away your walking stick. I am using ginger to treat h pylori bacteria in my stomach and intestinal tract. I have immune systems issues, too. Has anyone else had success with using ginger for this reason? Presently, I'm adding fresh ginger to my food and also drink a hot tea made with 1 1/2" of fresh ginger slices. I let it steep for 1/2 hr or more and add peppermint tea for a soothing effect. You can also use fresh peppermint leaves. Some very great tips on using ginger for medicinal purpose. Like the idea it can also aid in losing weight, will definitely have to give it a try! Love the freezing idea, although I blend mine and store in freezer in ice cube trays and still tastes fresh! Does anyone know if it reduces thyroids? If you never want get a cold or flu again, eat raw chopped garlic (Organic) throughout your day. And even if you can't get yourself to do that, once you feel symptoms coming, take 2-cloves of chopped-garlic. Do this twice and your cold will be gone by the next day. I have not been sick for 3 years and the closest I came was when I decided to go without garlic for a few-days. As soon as a I had sore throat, I took raw garlic and by the next day it was gone. I peel and slice fresh ginger about and then put it through a garlic press to get 2 tablespoons of press ginger. Then I press fresh garlic about 3-4 cloves and add both to 3 tablespoons of extra-virgin olive oil. 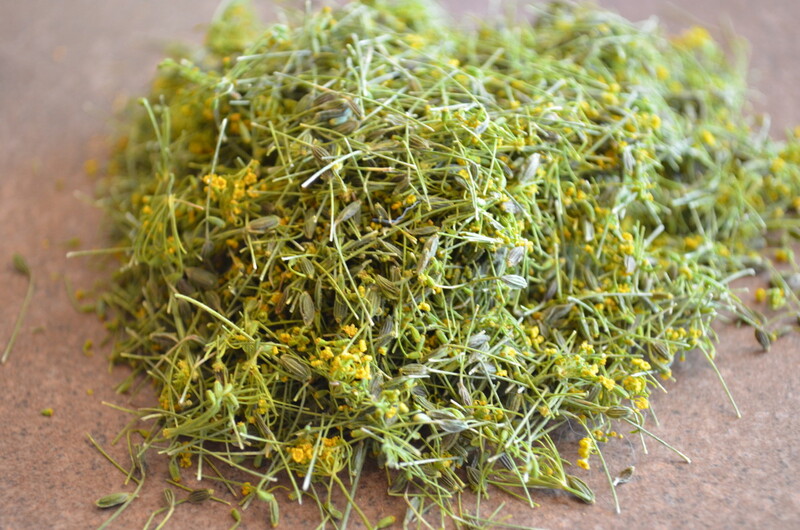 I use this to rub on chicken, steak or fish before grilling. Let is sit on chicken and steak for a few hours before grilling. I always drink ginger tea.our mother makes ginger since we we were young. i still remember my grandmother boil ginger with camote. last week i tried apple with ginger its good. 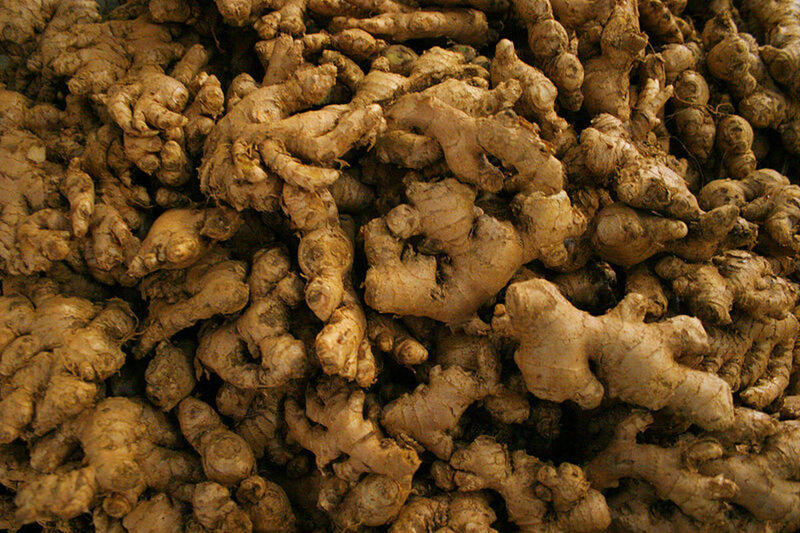 Ginger is the rhizome of the plant Zingiber officinale, consumed as a delicacy, medicine, or spice.The medical form of ginger historically was called Jamaica ginger; it was classified as a stimulant and carminative and used frequently for dyspepsia, gastroparesis, slow motility symptoms, constipatio, and colic. i like to eat this herb its solution of many thing as well for cough.u can use it tea its gud .this is neture blessing for us. Ginger in tea is a must to have. Besides the health benefits, it tastes great. I've been chopping ginger and putting it through a garlic press till this wonderful oil comes our of it which I use to make ginger tea. After reading that ginger thinks your blood, I wondered how much of this pure ginger oil it too much. I've been putting about a teaspoon of it into a cup of hot water once a day and I thought that since I am using this pure oil a full teaspoon might be an awful lot? Does anyone know how much ginger oil is too much? I wouldn't wrap anything directly in cellophane and then store it. Perhaps wrap it in baking paper first. Fresh is always better. i love all this comment and i will join the group of ginger user from now on and i will also prescribe it to others. I AM DIETING- UGH and heard that ginger can help somehow with tha. I just started to eat protein (3 egg whites within half an hour of waking, and 1/2 grapefruit 3 times a day. The whites are awesome from the blender with cinnamon and vanilla. The grapefruit I made into a smoothie by adding Ice, water, grapefruit, a chunk of unpeeled ginger, cinnamon and vanilla and a drop or two of stevia. I LOVE it! The ice is supposed to ramp up metabolism too. I noticed a change in the plateau I 've been on in 3 days of doing those changes! I like ginger in noodle soup with chillis, lemon grass, white fish and pak choi added right at the end. Banging!!! Hi! I have a Ginger tea every evening after my meal. i find i have a better rested sleep and my energy levels are improved the next day. A really really easy way i make my ginger tea is simply slice up some fresh ginger, pop it in your cup, add some honey and pour in your boiled water. Allow it to sit for a minute or two to cool down and encourage all the benefits of ginger to enter the water and drink up.... You can vary the amount of ginger and/or honey pending on your personal preference. Enjoy! I peel the ginger root, slice is very thin, add a half cup of rice vinegar and a quarter cup of sugar, mix. let sit in refrigerator for a couple days, then eat a slice or two before each meal, or place a few slices on plate to eat between courses. Outstanding flavor. I blend the ginger and carrots together and make a juice out of it. I strain it afterward all the good fiber out of it. I tried to drink the juice with the pulp and it was really too hard, but I will try it for the next time. I made some carrot juice, but I use too much ginger and it makes it gives off a burning after taset when you swallow. Any tips to dilute the strong taste of ginger. A man from Jamaca told me of the benefits of ginger and how to prepare it. I peel fresh ginger, slice it and put it in the food processor. When it is very fine I add almost an equal amount of sugar to draw out the extract. Put it in a jar and refrigerate it. The sugar preserves it. I use one teaspoon in a half cup Lipton tea. My husband gets the other half. i really like the idea but have you or all of you guys ever tried to use honey instead of sugar? I guess honey + ginger is better than sugar + ginger, but what do you think? Very nice read. Very insightful with lots of practical tips on how to get the best out of ginger. Thanks so much. We were given a blend of fresh ginger, honey and brown sugar on arrival at out hotel in Tibet. It is boiled on the stove. It is so beautiful. We now make it at home. We have it with ice in the summer and hot in the winter. What a great, simple idea of peeling and freezing fresh ginger. I never would have thought of it. i love ginger i have been adding it in the family meal for the past four years and since then my family no longer get sick often as b4. 1 lime- peeled. (leave on as much of the white pith as possible), cut in to quarters. 1 inch or an inch in a half of ginger root. I juice mine with the OMEGA 8006 . The best juicers ever, for house holds! Juices pretty much everything that's juice-able. It has no blades, so it preserves as much of the nutrient enzymes and vitamins. if you want to be healthy, stop wasting your money on supplement products! and get they key to natures most vital way of getting all the nutrients available in fruits and vegetable. Get all the nutrients, and save your digestive system energy so that your body can heal! Love life and take it in your hands! I take ginger daily, specially helps with the cramps when it's that time of the month. Thanks for the tip with freezing the ginger. my family has always used ginger growing up. Try peeling then slicing ginger into a pot. Boil it gently/slowly for 10 mins to allow the extracts to dissipate into the water. Pour into your favorite jug and add cinnamon, honey, and perhaps lemon for a bit of tart. Awesome drink! Depending on the size pot it is good for 4 to 5 water changes before it weakens. Great info. Having immune system issues and looking at alternative/natural remedies instead of the tradtional steroid treaments. I discover the use of ginger, garlic and orange juice. It is wonderful it relieves me cold high blood pressure and many other symptoms. It gives you the ability to sleep soundly and you are up you are fit for the days work. I never new how good ginger is, until I saw a presentation on TV. Since then I never want to let it go. I feel good when juice it or take it with hot tea. It really is interesting reading all your comments. I just love ginger tea and lemon. If fresh ginger is hard to come buy, will ginger powder have the same effect? Ginger is a wonderful spice. It can be used in so many ways. Besides taking it in juice form with honey or tea for migraine, indigestion etc. It can also be juiced, mixed with some flour (wheat, cornflour or white plain flour), spread onto a strip of cloth and applied to the breast bone or back, to draw out the pain and infection. 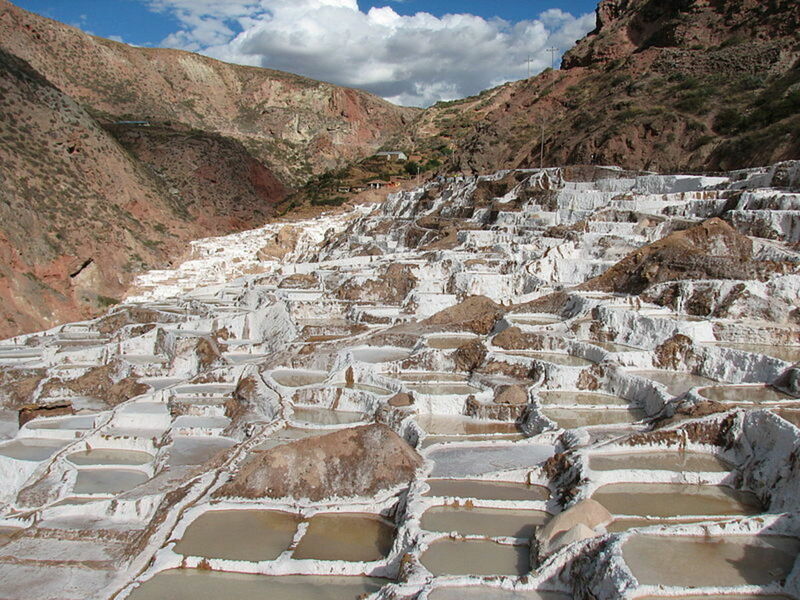 But make sure that you do not bathe or wet the patch where the ginger poultice was applied, for at least 24 hours. No one mentioned the spice form of ginger that you can easily buy in the grocery. Sure, the fresh ginger is best peeled, grated and sliced, but if you're too lazy or don't want to bother, I'm sure it's worth having just a half teaspoon a day of the store bought kind. That should confer at least some benefits shouldn't it? I juice everyday and in each and every juice mix I make, I include a large chunk of ginger. It taste great. My favorites are green lemonade w/ romaine, spinach, kale, 2 apples, 1 lemon, and chunk of ginger. It is a great detox. Also, carrot, beet, apple, and ginger is delicious!! Ginger Gizer has really helped me with digestion, headaches and nausea. Plus I drink it when I want something other than water, it's very refreshing and has a zip. Finding out that it helps arthritis is good news too. I have health problems and ginger really helps relieve my nausea! I make fresh ginger tea by boiling the root and putting a pinch of brown sugar in it just to taste for sweetness. The Ginger People also make a really great product called ginger chews. Ginger is a life saver for me!!! I use ginger for cooking and in tea I am curious about the ginger + orange drink. You mentioned that you lost 6 lbs in 2 weeks. My question to you is whether you have this drink twice a day or once a day and do you take it in the morning or evening. I am interested in losing weight, so I do appreciate your reply. At sushi restaurants it's used all the time, said to be used to clean your palate between different fish, which is true but the deeper meaning is that it helps clean your mouth from the possible harmful bacteria that may be on the fish. Ginger is a definite mouth cleanser! I usually used ginger when cooking dishes, especially if its seafoods like fishes because it removes the unwanted smell on it. I like that peeling and freezing strategy, its new to me. Hi I just came across your hub while I was searching for information on ginger, as I am writing a blog post about it. I love ginger more than you can imagine. Ginger tea is one of my favorite drinks in the world, especially when mixed with peppermint. 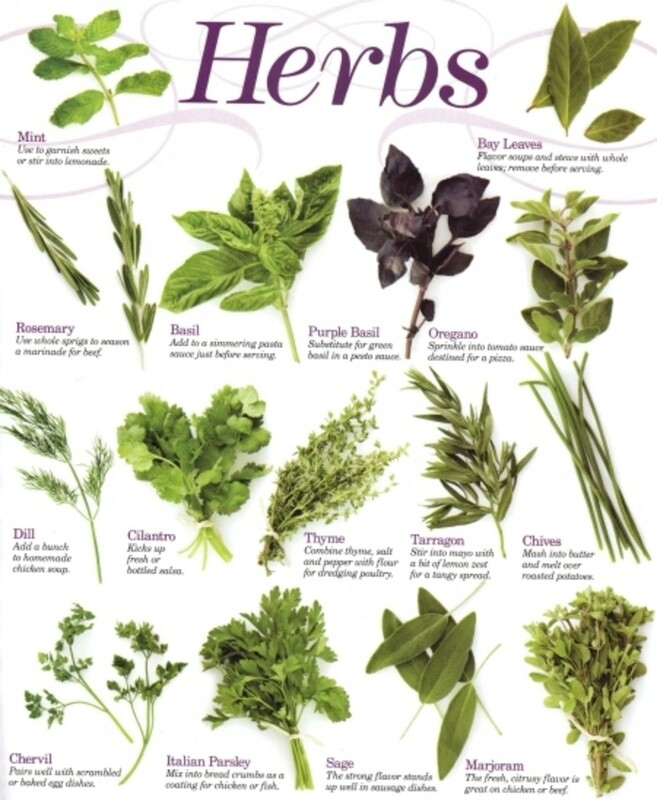 I use organic medicinal-quality herbs and the difference it makes is incredible. I also use it for stomach trouble, colds, flues et al. Great hub you have here and I am always glad to see people promoting natural remedies. We really don't need all the drugs and toxins. I was have had high-blood pressure for over a year, taking doctor prescribed drugs to help lower it. After months of taking several different drugs (with side effects) and finding they did not work for me, I tried ginger and it works! My BP is lower than I remember it being in years. I love ginger! The gym instructor mentioned that the best way to prevent colds and fly in winter is ginger in your food and ginger tea. I'm sure I can get used to the taste if I can benefit in a nuatural way. BIG WIN! I got a recipe from a popular source to juice carrots, ginger, and apple. It took me a minute to get use to the bite of the ginger, but once i did its actually pretty good. I did not know ginger had so many benefits. Thanks for the advice. I love ginger. When I have a bad headache I just cant seem to get rid of, I boil a pot of water and cut-up ginger root for tea. Ginger is great if you are sick. I have noticed it cut my appetite down, so maybe it is an appetite suprresant. nothing that i tried before was able to stop my appitite. i add ginger power into hot water and drink it all the time. in one week i lost 4 kgs. (from 114 to 110). Take a one inch cube of ginger and peel it. Then cut it into very thin slices. Eat the raw slices with your food. It will add some hot flavour to your food, if you like your food to be hot and spice. I am doing a science faie project and i want to do it about ginger. the info was great. theres not a lot of info about the way ginger treats high and low blood pressure. I didn't realize it had so many purported health benefits. You've peaked my curiosity; going to start doing some research into ginger. Thanks for the storage tip, my gingers usually went off before I could finish them, now I will have no waste. I certainly enjoy ginger tea. Great tip about taking it as a natural cold remedy! I love ginger, help me warm my body when I feel cold but I want to know about the benefit of high pressure. just started to try ginger today, here in the philippines, we got too much smoke from fire crackers during the eve of december 31st, i got this insane cough and tried out ginger, so far its good.